Today was the first day of the ITB 2012 and it was a great experience. I had no appontments today, therefore I was free to have a look at the huge fair and discover my personal favorites. It is rather exhausting walking through the different halls, as the area is just big and very crowded. But it is inspiring to see, how much effort tourist companies and incoming agencies all over the world have put up, to stand out of the crowd. After lunch I visited some seminars at the webtravel lounge. It is unbelievable how little input some so called social media experts give. I believe I can call myself a social media expert myself, as it seems hard to learn something new. But the last seminar I attended was great, and this one definitely gave me some valuable input and insights. It was by Adam Medros. 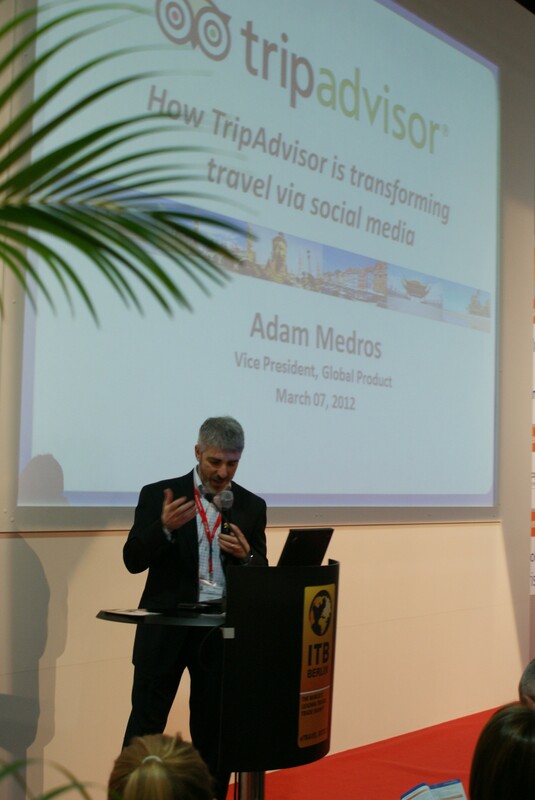 Vice President Global Product, at Tripadvisor. He gave some great insights into Tripadvisor and this speech was really inspiring. 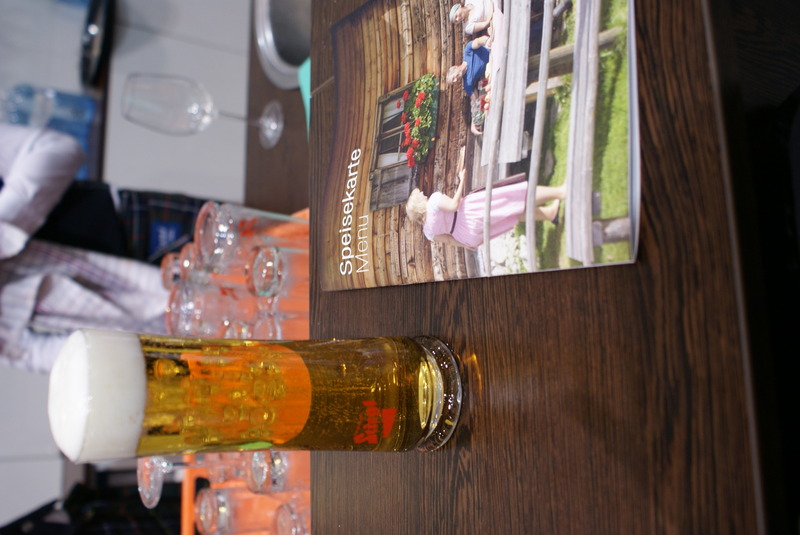 After a long day I finally visited the Austrian Tourist Office Networking Café, where I ended a long day with a nice glass of Austrian beer.